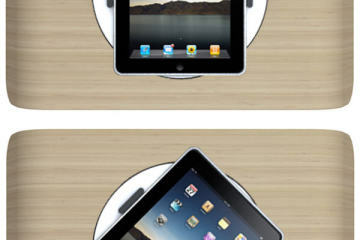 As a rule, I stay away from gadgets accessories that append an “i” to the front of their name. The iWallet is such a devilishly handsome accessory, though, that I just can’t keep away. 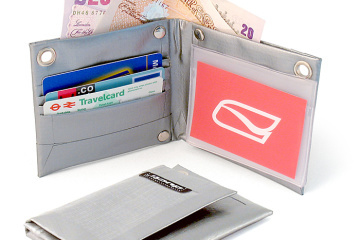 Like the name implies, it’s a wallet with an Apple-inspired twist. 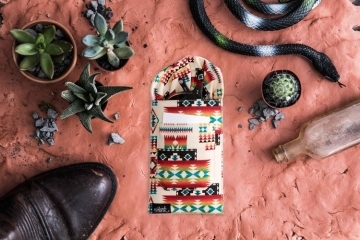 Instead of just holding your cards, coins and cash, the non-pocketable billfold integrates an iPhone case among its compartments. 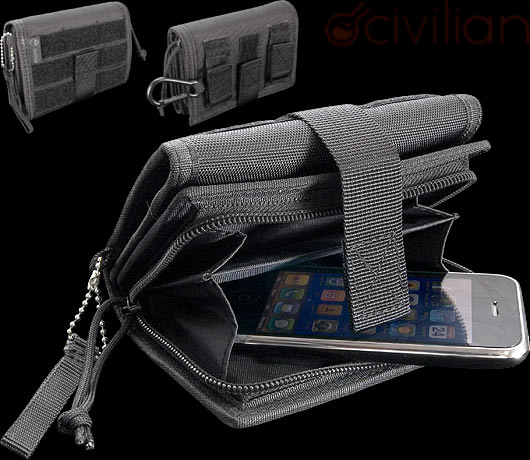 Of course, it can just as easily hold your HTC, Samsung or Blackberry device. But, hey, everyone gets plus points for being an “iPhone” accessory. 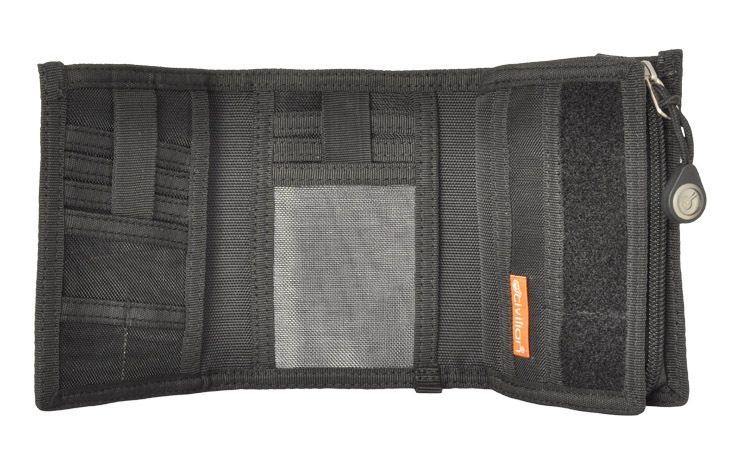 The iWallet is a high-capacity case designed to hold more than its share of your everyday knick-knacks. It comes with a host of slots for regular-sized cards (ATMs, credit cards, driver’s license) and a divided main compartment (so you can hold your real and counterfeit bills separately, you criminal mastermind). 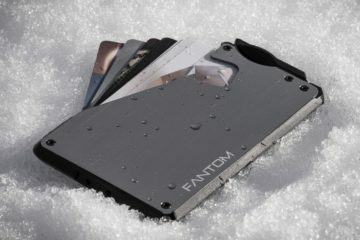 There are also larger-sized card slots that, according to Civilian Labs, can fit your auto insurance and, even, spare RAM. Its main selling point, however, is that nifty space available that’s cut to hold your iPhone (or any similarly-sized handheld) comfortably. 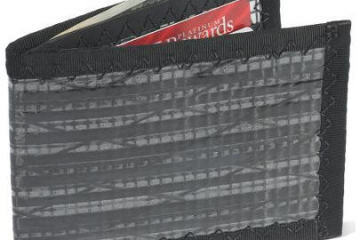 A wallet that big will naturally not fit into your backpocket (especially since you probably grew a couple inches around you waist over the holidays), so the creators went so far as to suggest ways to carry it. 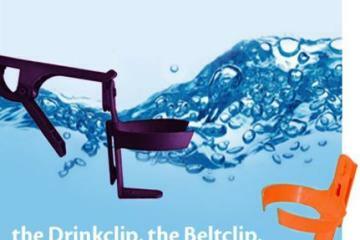 Recommended methods include a removable carabiner (included with the unit) and a PALS/MOLLE belt-loop (optional accessory). Personally, I’d like to see you cram it into your front jeans pocket just for laughs. 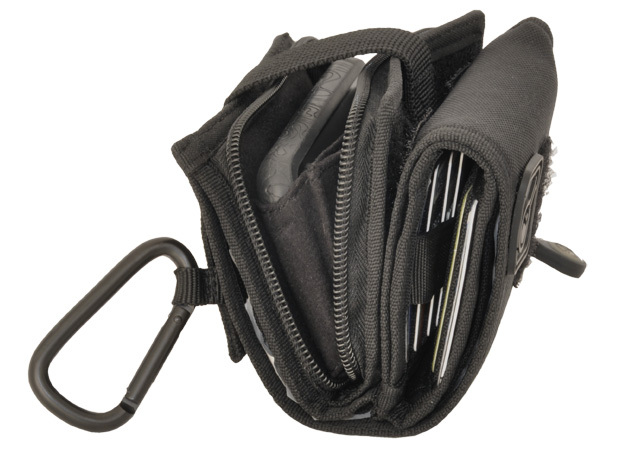 If you’ve been thinking that you need a bigger wallet, the iWallet could be the extra spacious tri-fold for you. It’s available now for only $36.